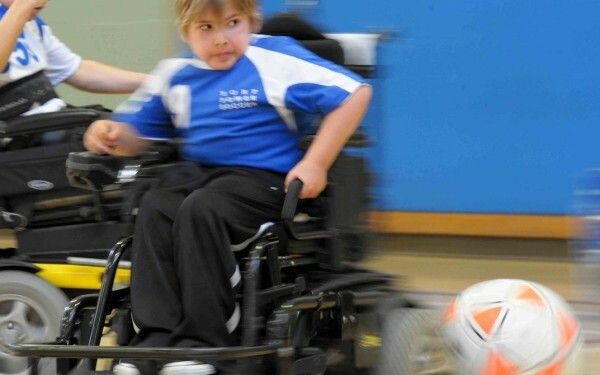 Power Soccer is the first competitive team sport designed and developed specifically for people of all ages and genders who use a power wheelchair. 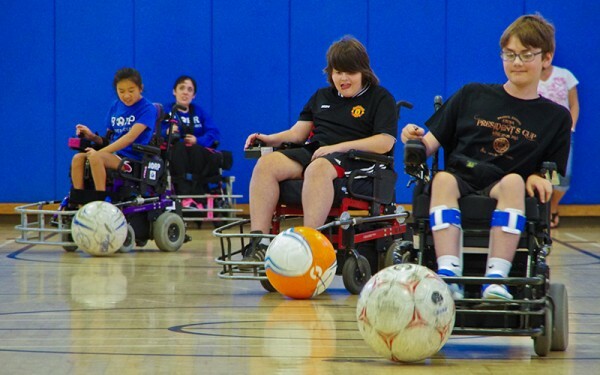 Power Soccer combines the skill of the person with the speed and power of the chair, to create a fun, competitive, and accessible opportunity to play the most popular sport in the world, soccer. 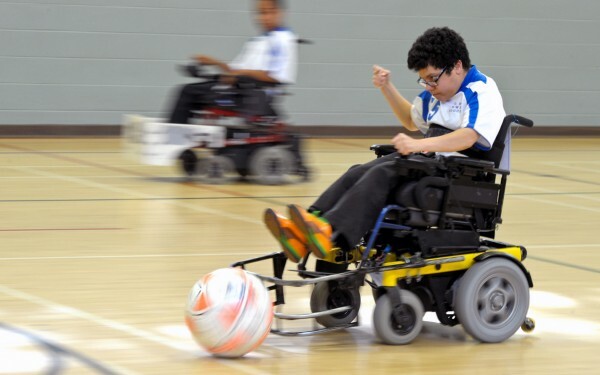 Power Soccer rules are similar to outdoor soccer. The game is played in a gymnasium on a regulation basketball court. 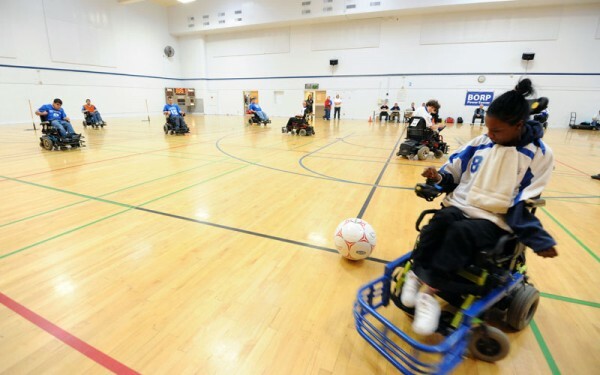 Two teams of four athletes in power wheelchairs pass, dribble, and spin-kick a 13-inch soccer ball in an attempt to score goals. 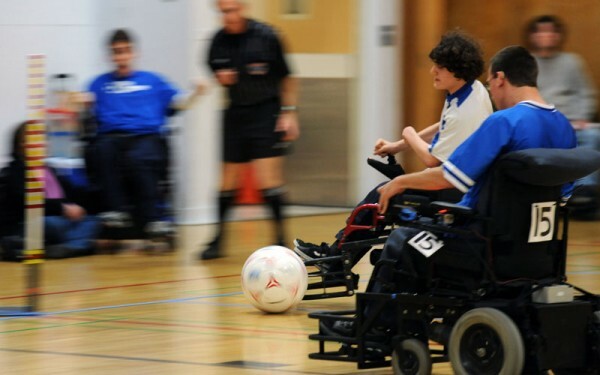 Footguards are secured to each wheelchair to maneuver the ball and provide safety for the player. 1720 Eighth Street, Berkeley, CA 94710 from 2:30 -4:45pm and 4:30pm – 7:00pm. On their first visit, new players will be evaluated by staff and assigned to one or the other practice time. 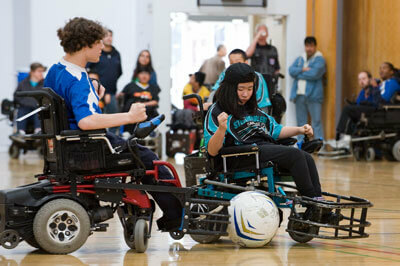 BORP’s teams compete locally, regionally, and nationally. 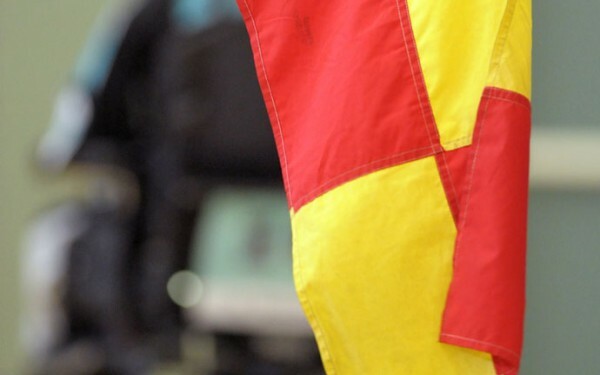 See our calendar for a more detailed schedule of practices and games. 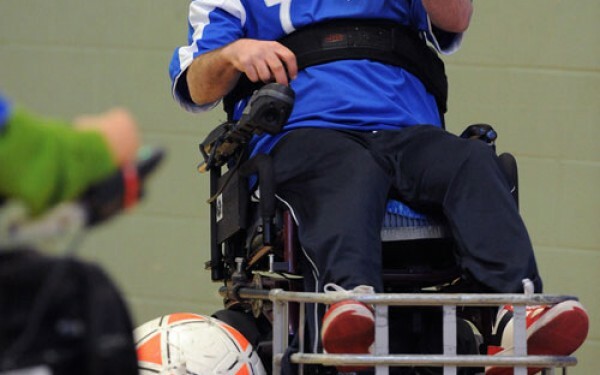 Interested in playing? 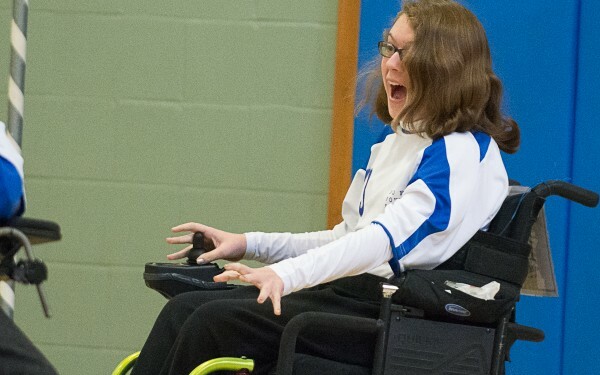 Participants include people with quadriplegia, multiple sclerosis, muscular dystrophy, cerebral palsy, spinal cord injuries and other disabilities. 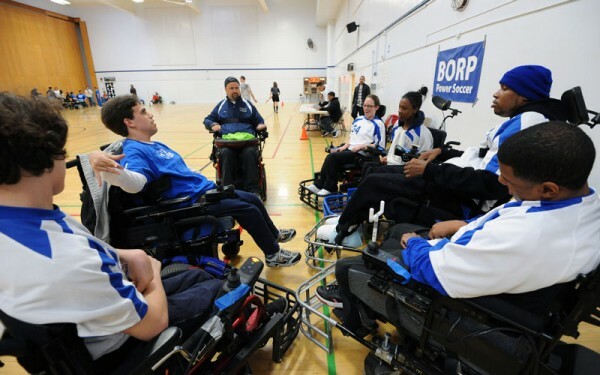 For more information on how to participate and start playing please contact Jonathan Newman at (510) 225-7032 or jonathan@borp.org. Published on Jun 22, 2015 and filmed by the GoPro Team Sports Crew. BORP Poker Fundraiser a success for the 15th time! 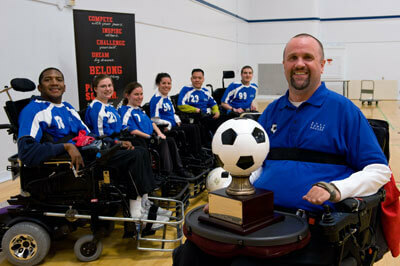 Congratulations to the BORP Crushers, Presidents Cup Power Soccer Champs!